2018 IPPY Gold Medal Award Winner in the Mental/Psychology category. 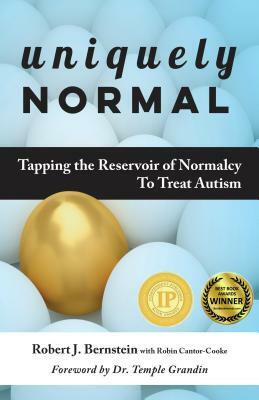 2017 Best Books Award Winner in the Mental/Psychology category and 2018 Next Generation Indie Book Awards in the Parenting/Family category, "Uniquely Normal: Tapping The Reservoir of Normalcy To Treat Autism." Author Robert J. Bernstein has found a different approach based on cognition thinking in helping people of all ages with ASD. Author's goal is for people with ASD to be able to live in the world and connect with the people in it as themselves, to express their unique humanity and engage more fully in the human interactions that give life meaning and make it worth the effort of getting out of bed every day. Author believes that whatever he does therapeutically must be on the ASD individual's terms; he or she must lead. Author's therapy examples are categorized by age groups of: 2-5 years of age, 6-10 years of age, 11-14 years of age and 19 years of age and up.